HP is back at it again with their mission to stop letting consumers choose what type of cartridges they want to install and use in their printer. Hewlett-Packard have introduced this ‘cartridge protection’ system on their original ink cartridges to lock the genuine inks to a specific printer so that you cannot use that cartridge in any other printer. Customers may want to use compatible ink cartridges or re-manufactured ink cartridges in their HP printer instead of the original genuine HP ink cartridges as they just cost too much. Genuine ink cartridges may come with cartridge protection embedded in their chip. Once an ink cartridge is installed, your printer will mark it as protected, so that the cartridge can only be used with that printer as it is locked to it. 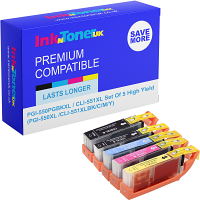 If you was to buy a new printer that takes the same inks, you will not be able to use those cartridges in your new printer as it is locked to your old printer. This means that the ink cartridges cannot be refilled, recycled or remanufactured to use in another printer, and it will just end up in landfill. Why would you want to stop this from happening? If you buy a new printer to replace your old printer, the cartridges will not work if it has already been installed in your old printer. Cartridges cannot be recycled and will go into landfill. There have been reports that some customers get the ‘protected’ error message even though they are using brand new original or starter cartridges. How to turn off HP Cartridge Protection Setting! You can turn off the HP cartridge protection setting in a few simple steps. 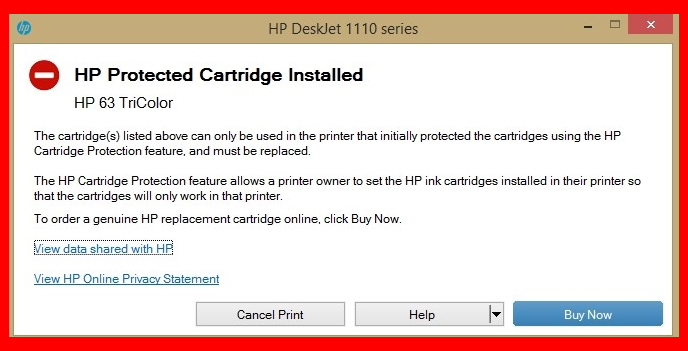 If your Hewlett-Packard printer does not have any internet features you can simply go into your printer settings which can be located on your printer menu and you will see the option to disable the HP cartridge protection. Just select the disable option and click Apply and Save if necessary. Open up a web browser and enter your printer’s IP address on the web address. Your printer’s IP address can be found on your printer settings by navigating your way to network setup options. This will open up the printer’s Embedded Web Server, click on the Settings option and to the left hand side select HP Cartridge Protection. 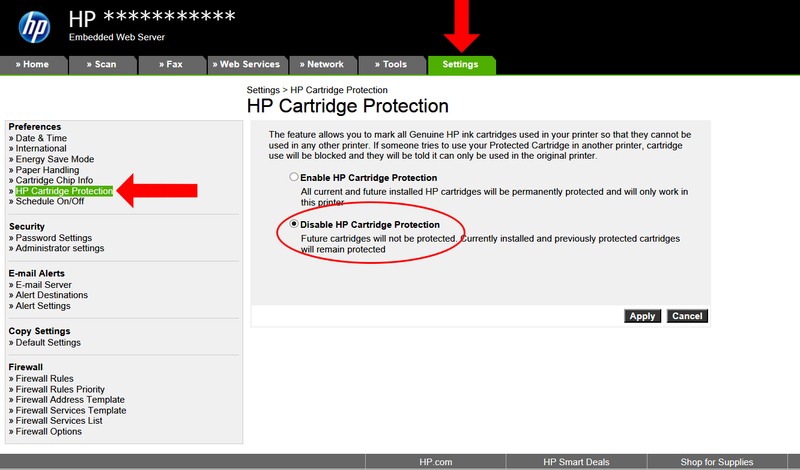 Make sure you select Disable HP Cartridge Protection and click Apply or Save.